Self-motivation is at the heart of achieving mostly any goal that I know of. Without self-motivation, it is very difficult to stay the course as you face ups and downs en route to your end goal. Therefore, in this article, I’m sharing my “4 Achievement Contributors” and we’re looking specifically at 11 tips on how to self-motivate. 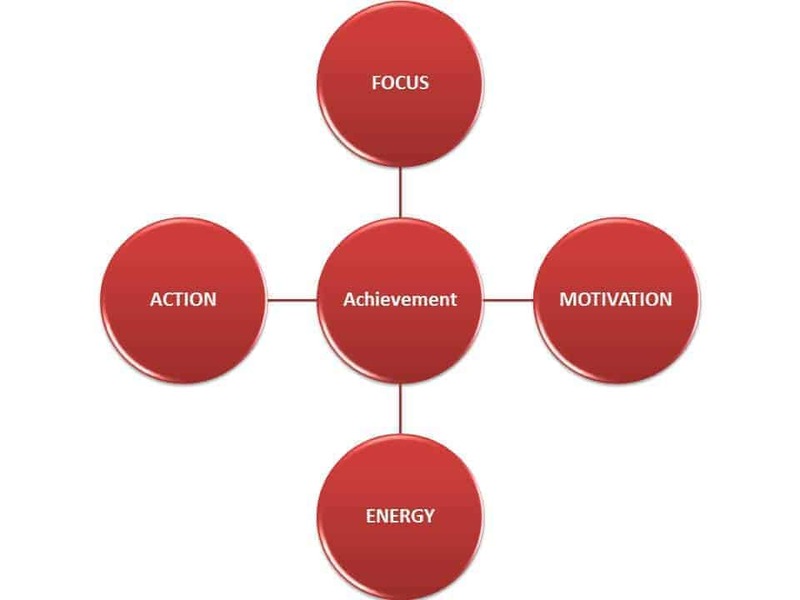 To achieve any result in your life or business you need four important “contributors” to make that happen. You can still achieve a lot by just having one of these, but the chances to create more increases exponentially when you have all four working for you. How focused are you? What are you focusing on? What are you NOT focused on that you need to be? How motivated are you to achieve your goals? What motivates you most about that? What do you need to increase your motivation even more? How do you motivate yourself? What will rob you of your motivation to follow through? How much energy do you have most of the time? What gives you energy? What robs you of your energy? What do you need to improve, change, or do away with to increase your energy levels? What actions/habits do you need to put in place to achieve your goal? What habits do you need to get rid of? What action will be the hardest to take and sustain? As said earlier, in this post, I won’t cover all four of these “Achievement Contributors,” but will focus on self-motivation only. What I’ve learned is that you can have all the focus you need, but without the appropriate levels of self-motivation or drive you won’t achieve much. What will end up happening is you sitting down writing out your focus/goals on some paper or a whiteboard, but you won’t do anything about them. To achieve our focus and move closer to our goals, we need to learn how to motivate ourselves. The truth is, even the most experienced and successful achievers can use a little help getting motivated from time to time. Motivating yourself is a learnable skill. Everyone procrastinates at times. It’s human nature. Fortunately, several tactics and strategies can lift your motivation to the critical level necessary to get yourself moving again. In this post I simply want to share with you is 11 Tips on How to Self-Motivate. Try these techniques to motivate yourself and get things done, and see how you go. I would love to hear from you after you’ve given them a try. So please leave your comments after this post, below. It’s much easier to motivate yourself when you’re in a positive mood. Focus on the wonderful things in your life that fill you with gratitude. Cleaning out the garage won’t seem quite as daunting. Keep your mind on the positive things in your life. If you wanna read an absolutely awesome book about how success and high performance are in fact driven by happiness, read “The Happiness Advantage” by Sean Achor. 2. Learn how to be a finisher. A trail of unfinished projects can dampen anyone’s enthusiasm to start another. Avoid quitting before a task is 100% completed. You’ll be more interested in taking on new tasks when you expect to be successful. The only people that don’t make mistakes are those who never do anything. The more mistakes you make, the more you’ll learn. Mistakes can be very positive. 4. Keep yourself grounded in the present. If you’re worried about the future or beating yourself up over the past, it’s challenging to get anything accomplished right now. Focus on your breathing for a few minutes if your mind is running wild. 5. Focus on the result. You’ll find it difficult to get started if you sit around and think about all the work that needs to be done. Focus on the result and you’ll feel much more motivated. You go to work every day because you know that a paycheck is coming your way. Give yourself a small, but meaningful, reward when your work is complete. Determine the reward before you get started. Decide how long a task should take and see if you’re right. Set a timer and see if you can beat the clock. A little time pressure will help to keep you focused on your work. There are many timer apps and programs available at no cost. Reading inspirational quotes from those who have achieved great success can be very motivating. Spend a few minutes reading these great quotes and you’ll be sure to experience an enhanced level of enthusiasm. 9. Consider the price of failure. What is the price of failing to follow through? Make a list of the negatives. Some of us are more driven by pain then we are by reward. Using both to your advantage can be powerful. If you’re feeling stuck, go for a brisk walk, a short run, or skip rope. Taking a short break every 60 minutes has been shown to increase productivity. Keep your breaks short so you don’t get off track. Big goals or projects can take years to complete. Measuring your progress along the way is a great way to keep your spirits high. Set short-term goals to keep you focused. To achieve any result that you want in life or business, it’s important to be able to motivate yourselves. Focus, energy, and action are all important, but without the ability to self-motivate and get you to the place where you actually want to do any of it, it will be hard. The most successful people are able to harness the power of self-motivation. Let me put it differently – successful people (whether are a supermum or CEO of a large corporation) do whatever it takes to get the job done even when they don’t feel like it. They are willing to suffer short-term discomfort knowing that the result at the end of the day will be totally worth it. Most people avoid discomfort and shy away from what needs to be done. A higher level of motivation will ensure that your work gets done and done well and as quickly as possible. If you have any comments or questions, please leave them in the comments area below.